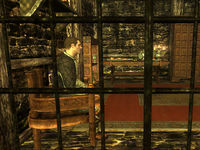 Whichever option you choose between the first two, Svidi will not be killed and Sibbi will give you his key to a long chest containing moderately-valuable random loot, found in the basement (at the bottom of the stairs) of the Black-Briar Meadery in Riften. "You've done me a great service, my friend. Allow me to compensate you for the information." Sibbi's gratitude will also allow you to take any low-value items from the meadery. 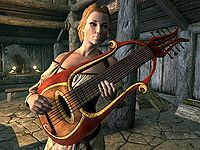 Only Indoryn will allow you to take low value items from the meadery. Esta página foi modificada pela última vez à(s) 18h34min de 11 de novembro de 2015.